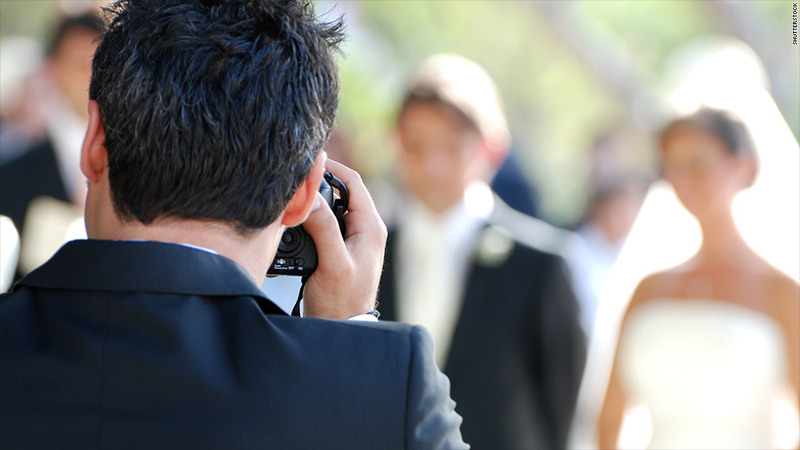 Wedding photographers are unexpected victims of the shutdown, due to the closure of federal venues and national parks. The government shutdown has already caused some small businesses to lose work and money, according to a new CNNMoney/Thumbtack.com survey. Of the 100 business owners who responded, 46% said their firms were feeling the impact of the shutdown, including cancellation of ongoing work and less new work coming in. And if the shutdown drags on, they said it could hurt 20% of their business, according to the survey, which was sent to business owners across the country. Sander Daniels, co-founder of Thumbtack.com, said the impasse in Washington is affecting small businesses in unexpected ways. He said photographers, caterers and DJs have seen weddings and other high-profile events canceled because of the closure of national parks and other federal venues. "General contractors are finding that they're booking fewer jobs, and janitorial companies have lost contracts in federal buildings," said Daniels. That's the case with Jon Monty, whose family-owned cleaning business OBCWorld.com, has contracts to clean federal buildings in the Oakland, Calif., area. About 15% of his business currently comes from cleaning government buildings, and the rest from residential and industrial customers. On Tuesday, the company's cleaning crew showed up at a government building, "but we weren't allowed in," said Monty. "We were told they weren't sure how long this would last. We actually like doing work with the government because they pay on time." Monty said the company is already looking for other work to fill the gap until the government shutdown ends. Although many businesses don't anticipate being affected -- 54% of respondents said it would have no impact on their firms -- many are still considering putting off major investments in their businesses, said Daniels. Small businesses have mixed feelings about who is responsible for the impasse. "[But] When it comes down to it, small businesses want Congress to get back to their jobs so that they can do theirs," said Daniels. The survey was conducted on Oct. 2 through Oct.4 by Thumbtack.com, an online service that connects more than 275,000 small businesses and freelancers with prospective customers.